Ed Gillespie is a writer, communications specialist, serial entrepreneur and futurist. He is the author of Only Planet: a flight-free adventure around the world, a book about his circumnavigation of the globe without getting on a plane, which the Independent said ‘allow[s] the world’s flaws and beauty to seep into your soul’. Ed is co-founder of Futerra, a change agency founded in 2001 that specialises in sustainable business transformation and creative communications and campaigns. Futerra has become internationally renowned for its influential and award-winning work around the world. 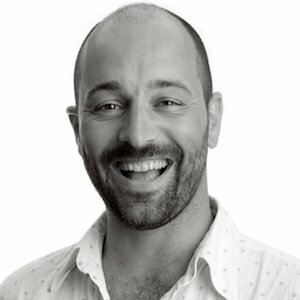 Professionally Ed is known for his own unique brand of authentic ‘insultancy’ – being strategically rude to clients, with judicious wit and wisdom to inspire them to greater heights and aspirations. Ed is also the co-founder of the Global Goals Accelerator and is actively involved in a number of pioneering ethical businesses as a director or investor including Zero Carbon Food, a renewable energy powered, LED-lit, hydroponic farm in a disused underground tunnel in South London. Have we defused the ‘population bomb’?